Excuse the rubbish phone photos - my scanner is... well, it's not broken, but something tripped the power, and I'm scared to plug very much in at all until we've had it checked out. 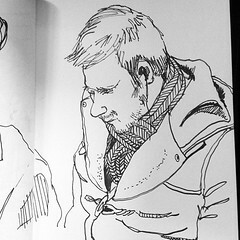 But anyway, I did a few sketches on the train journeys to and from London yesterday. 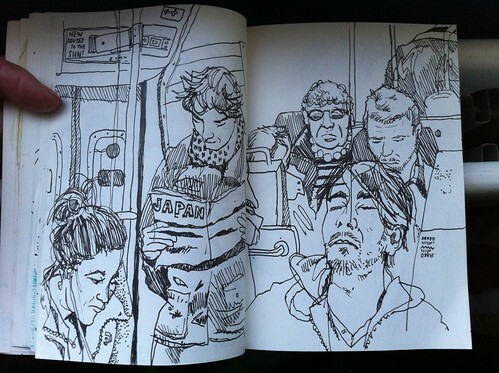 I liked this man's elaborate scarf-tying. That man on the right, in the middle? He definitely saw me drawing him and he gave me such a frown. 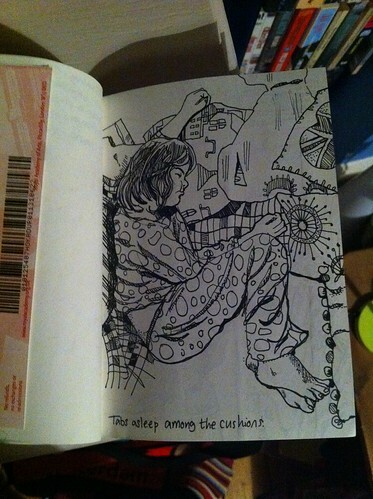 I also drew Item from the photo I took of her the other day - I liked the shape she made when she fell asleep on the sofa.